Over 80% of Instagram users follow at least one business, with more than 200 million visiting as least one business profile every day. And, with the platform continuously launching new features and transforming it into a more business-friendly environment, it’s clear to see that things are about to get creative and exciting in 2019. The platform is no longer just a place to post pretty images; it’s a space to engage with customers, share new experiences, and build a community of raving fans that keep coming back for more. The trends we’ve highlighted here will help you battle low engagement levels, increase your following, and help you track what content is most successful. So, without further ado, let’s dive into what trends we can expect to see on Instagram over the next year and how you can get ahead of the game. Like most other forms of social media, Instagram has jumped on the personalization bandwagon. The platform carefully curates a user’s individual feed by using data from other posts they have liked and interacted with. This provides users with a highly curated, personalized experience, but brands can also get creative and build personalized experiences for each and every user outside of Instagram’s algorithm. Because marketers see an average increase of 20% in sales when they create personalized experiences. Take John Frieda, for example. 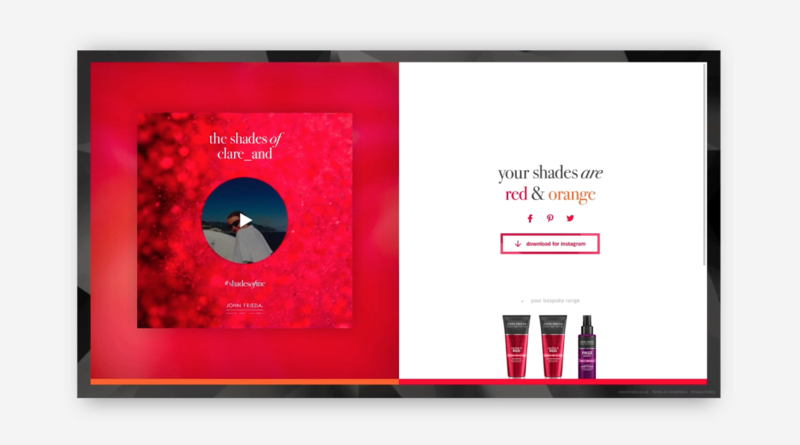 The brand created a personalized marketing campaign around hair care and color products. Their #ShadesofMe Instagram campaign let brands connect with Instagram and select their own hair color which then triggered an algorithm to compare said hair color with the most used colors in their Instagram posts. The data gleaned from this was then used to create a personalized video that described what those shades said about the user’s personality. Use Instagram as the starting point for your personalized campaign. Direct users to a landing page where they can take a quiz or choose from several options to get a more personalized outcome. Use the information you’ve collected to promote specific and relevant products to the user. Augmented Reality (AR) is about to blow up the social media world and will well and truly be one of the biggest Instagram trends of 2019. At Facebook’s F8 conference the focus lay heavily on AR and VR. And, although it seems like a feature of a futuristic sci-fi film, these types of technology are going to become the norm on social media. Take the “cutesy” face filters that are already doing the rounds – these are a form of AR and show the creative possibilities this technology has – but we’ll also see more custom stickers on Instagram, too, as more and more businesses create their own GIPHYs and stickers that can be used in Stories to promote their brand. Currently, brands have to work directly with Instagram to create their own branded filters. This will change over the next year, when you’ll be able to instantly create customized filters. For now, start thinking about ways you can use AR and custom stickers to promote certain product lines. There are talks of a new shopping app that’s coming to Instagram in the next couple of months. 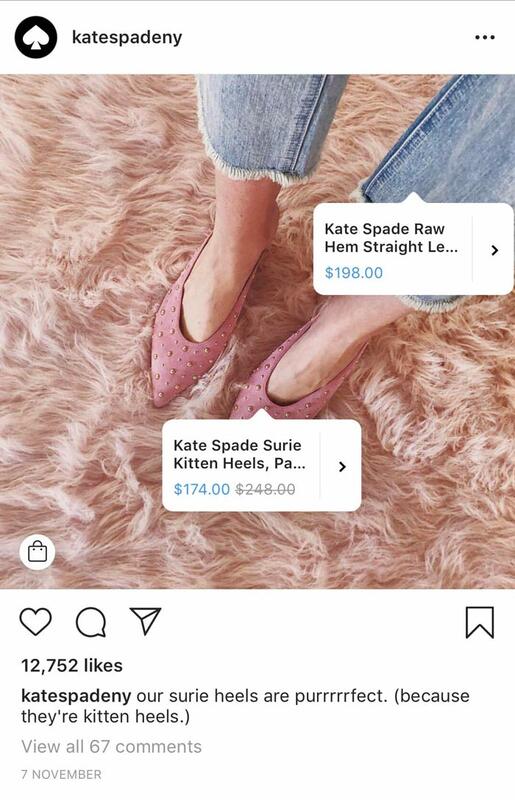 IG Shopping (as news outlets are temporarily calling it) will let users scroll through products from brands that they follow before purchasing directly in the app. When you take into account that 4 out of 5 Instagram users follow at least one business, this could be huge news for brands on the platforms. 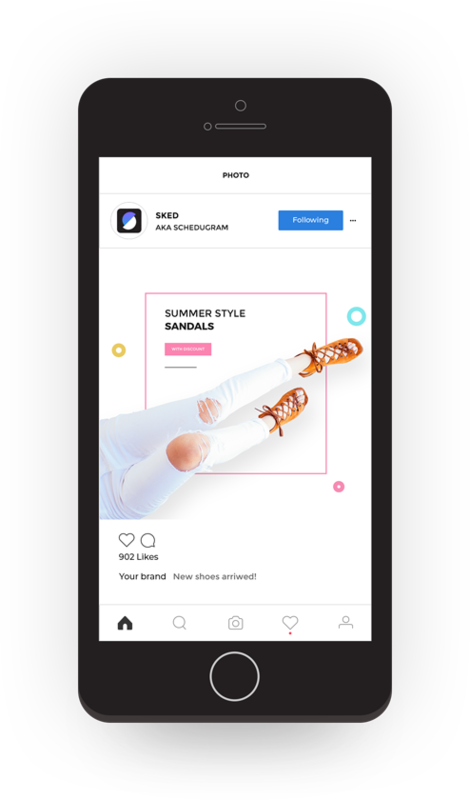 Shopping has become an increasingly popular activity on Instagram, and this new feature will take the frustration out of users having to navigate away from the platform to make a purchase. In fact, almost a third of online shoppers say they use social networks to browse for new items to buy, with Instagram taking the second spot after Facebook as the most popular channel to shop on. If you can’t wait for this new app to come to fruition, there are other options. Tag products in Instagram posts and Stories by selecting a photo, tapping the products you want to tag in the photo, and entering their names. If you’re a verified account on Instagram, you can use the “swipe up” feature in Stories to link directly to a landing page. Though these aren’t quite the purchase-on-platform situation that IG Shopping will offer, they still gives brands the chance to share their latest lines with consumers. 400 million people watch Instagram Stories every single day. On top of this, Facebook advertising is increasing in cost, which means many brands are turning to Stories advertising. 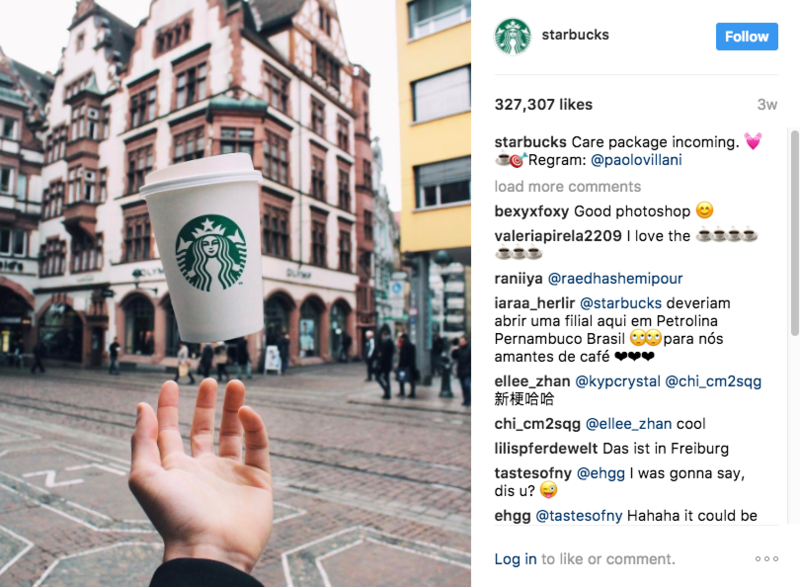 Although it’s still early days with this form of advertising, it’s already reaping huge results for brands and will likely be one of the biggest Instagram trends in 2019. 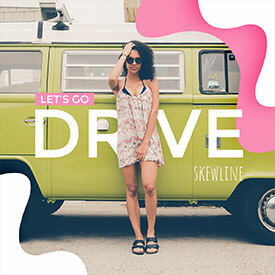 Take this Gap campaign that saw a 17 point lift in ad recall and a 73% higher click-through rate than previous ads that were simply posted on the Instagram feed. Connect your Instagram account to your Facebook Ads Manager. Create a new campaign in your Facebook Ads Manager, and click the option to display it in Stories. Choose an objective and demographics for your campaign. Create eye-catching graphics (remember: Stories are a much more personalized feature of Instagram, and people tend to prefer watching authentic videos and Boomerangs from their friends and families that obvious ads from brands). Make your Stories ads as real as possible so they blend in. Instagram originally limited its Stories feature to 15-second-long videos, but it has since blown that limit out of the water. Now, if you want to upload a longer video, the app will automatically slice it up into 15-second segments that seamlessly follow on from one another. This means you don’t have to worry about timing your videos to the second, and can instead focus on creating epic content that your audience will love. Upload your video as you normally would to a Story. If the video is longer than 15 seconds, Instagram will automatically break it up for you. If you’re happy with the way Instagram Stories has segmented the video, click the “Next” button to share it with your followers. Start carving out more time to plan and produce creative Stories content by using a tool like Sked that allows you to schedule and automatically post your Stories content via desktop. Start your 7-day free trial today. Research shows posts that feature user-generated content (UGC) have a 4.5% higher conversion rate on Instagram than those that don’t. With stats like this under your belt, it’s a no-brainer that you should be incorporating content made by your customers into your marketing plan. Because this kind of content (which might include reviews or images of your products taken by customers) is well-trusted by potential future buyers. Not only does leveraging UGC help you build a more engaged feed that’s better trusted than a series of well-polished marketing images, you’ll also have quick access to lots of content that you haven’t had to create, fund, and distribute yourself. 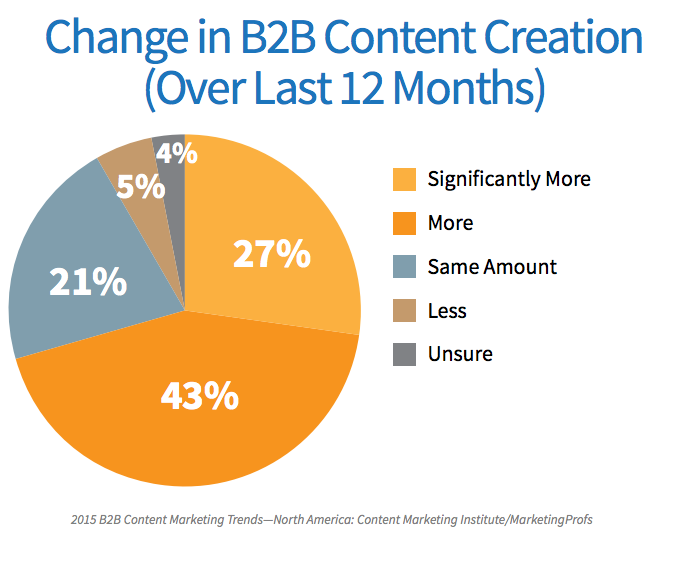 70% of marketers are creating more content than ever before. And that number is only set to get higher. This means that there are more and more marketers fighting to win the attention of the same audience which, let’s face it, is no easy feat. As a result, we’re seeing more and more brands really niching down their focus to target a very specific segment of their overall audience. For example, Nerd Fitness went all out to target “nerds that are into fitness” rather than anyone who was interested in keeping fit. Consider the different segments of your audience. 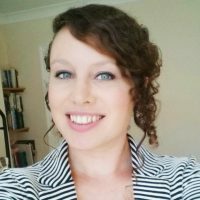 Rather than targeting everyone who might like your product or service, choose a specific segment to focus on (for example, if you sell healthy graze boxes, consider the audience you want to reach. So, rather than targeting all consumers that like food, try honing down by publishing recipes and other foodie content that’s aimed at busy moms or budget-conscious students). Brands are increasingly choosing to side-step working with Instagram influencers with millions of followers and are instead opting to collaborate with much smaller users, some of which have as little as 1,000 followers. According to a Nielsen report, 92% of consumers trust recommendations from individuals (even if they don’t know them) more than brands. This means that, in 2019, we’ll see more brands opting to work with nano-influencers in an attempt to reach a more focused audience. Identify key figures in your industry (look at engagement levels rather than follower count). Send these users a selection of your products to snap photos of or create and experience that they can share. Work with nano-influencers to come up with campaign ideas that fit their niche audiences. More and more “Instagram friendly” venues are popping up all over the world. Cafes are painting feature walls to entice photo-hungry visitors, while restaurants are placing more and more emphasis on the presentation of their food because they know it’s going to get snapped. These places are heavily focused on the Instagram shares they can get. Take the Museum of Ice Cream and the Color Factory as examples: visitors are willing pay a fee to go in and take Insta-ready photos with the backdrops and vibrant decor. Her Majesty’s Pleasure, a nail salon and cocktail bar in Toronto, has successfully tapped into this “Instagram destination” trend by adding a neon sign and retro phones to its decor. Visitors flock to these interior hotspots to take photos and tag them on Instagram. Set up a real-life, offline place where users can come to snap Insta-friendly photos (if you run a bar, set a corner aside and dress it up for photos). Encourage visitors to share pictures of your designated “destination” with posters and social media shoutouts. Share uploads from visitors with your followers by re-posting or including them in your Stories. 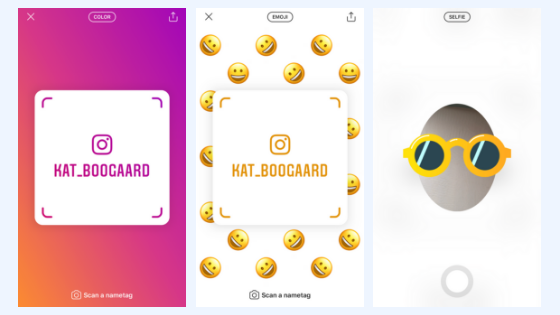 Instagram’s newest feature, the Nametag, has taken off and is set to be one of the biggest Instagram trends of 2019. Instead of having to spell out your handle to potential followers you can now show or send them your Nametag to scan, which leads them straight to your profile and that all-important follow button. But, like with anything on Instagram, brands are starting to get more creative with the way they use these Nametags. As well as personalizing them with selfies, cute emojis, and brand colors, you can also customize them to focus on specific annual events or holidays. Gain followers faster by making it as easy as possible for potential leads and customers to follow your Instagram feed by displaying your Nametag wherever you deem appropriate. Customize your Nametag to reflect important events and holidays throughout the year. Take a selfie with an element that’s reflective of an upcoming holiday. Are You Ready for the Instagram Trends of 2019? These Instagram trends for 2019 will allow you to create more personal connections with your following. Not only are more and more brands sharing content created by their customers, but they’re also creating personalized content specifically crafted for each and every user. With more content being published than ever, it’s time to get creative and stand out. Whether that’s by creating niche content, publishing longer videos as Stories, or building an entire offline destination for people to Instagram photo, it’s safe to say that 2019 will be an exciting year for this ever-popular social media platform.